A member of the U.S. military was killed in Afghanistan on Saturday — the second to die this month in the country and 10th this year. The news was announced in a press release by Sgt. 1st Class Debra Richardson, a spokesperson for Resolute Support. No further details of how the service member was killed were given. The service member’s identity was not released, pending notification of next of kin. 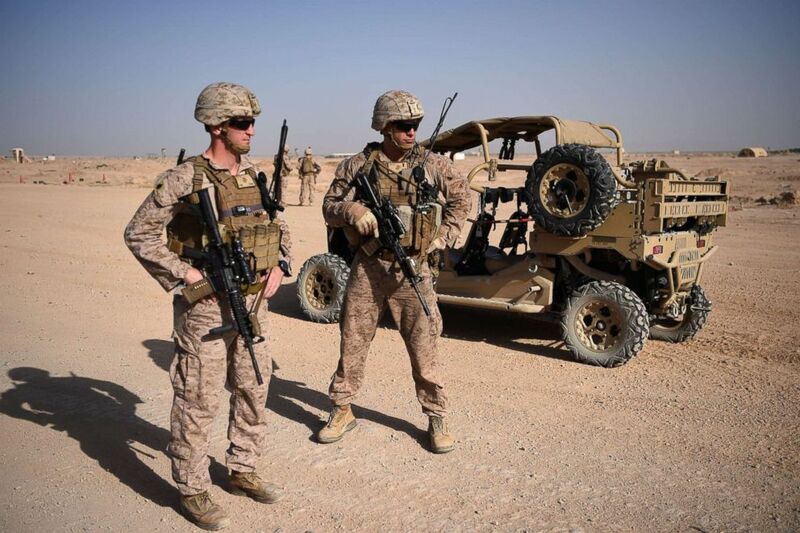 U.S. Marines keep watch as unseen Afghan National Army soldiers participate in a training exercise at the Shorab Military Camp in Lashkar Gah in the Afghan province of Helmand, Aug. 28, 2017. Two Afghan soldiers were killed and two injured in a separate incident on Saturday when their helicopter crashed in Kandahar Province, according to The Associated Press. Maj. Brent Taylor, 39, was the most recent service member to die in Afghanistan. He died in an insider attack in Kabul on Nov. 3. Taylor, a member of the U.S. Army National Guard, was the mayor of North Ogden, Utah. Taylor was on his fourth deployment overall, and second in Afghanistan. Insider attacks have been a growing problem for the U.S. in Afghanistan. Three insider attacks took place over three weeks in late October and early November. An insider attack on Oct. 18 in Kandahar killed a well-known Afghan police chief, Gen. Abdul Raziq, and wounded U.S. Brig. Gen. Jeffrey Smiley. A Czech soldier was killed in an insider attack in Herat Province on Oct. 22. 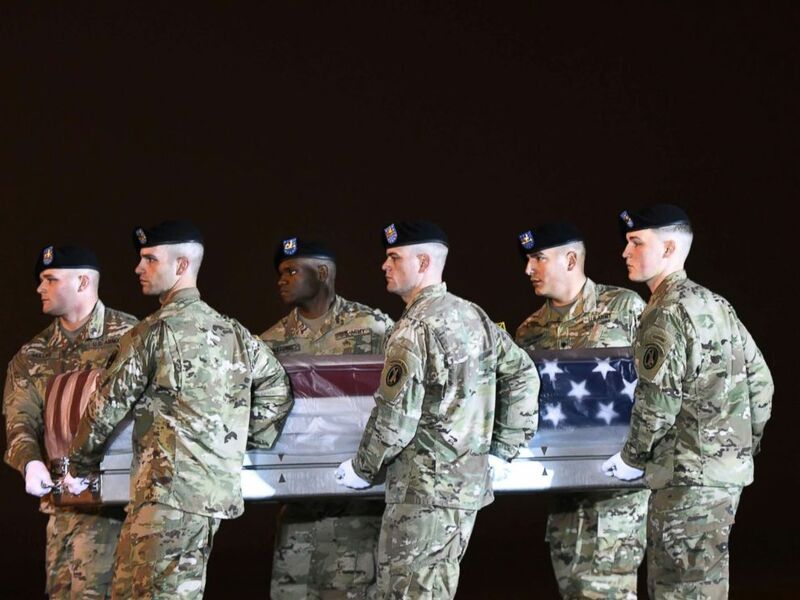 The death Saturday comes just two days after President Donald Trump hinted at a possible visit to troops in Afghanistan. The president has yet to visit military members in Afghanistan or Iraq during his first two years in office. An Army carry team moves a transfer case containing the remains of Maj. Brent R. Taylor at Dover Air Force Base, Del., Nov. 6, 2018. “We’re going to do some interesting things. At the appropriate time, we’ll be doing some very interesting things,” Trump said, when asked about a possible visit. He made the comments following a Thanksgiving call with leaders from each military branch serving around the world. “Melania and I want to express our gratitude for the sacrifices you make to defend your nation while you are away from your family and loved ones. I hope you will take solace in knowing that all of the American families that you hold close to your heart we’re all doing well,” Trump said.